The Murphy Public Library is hosting a special book and movie event this Thursday, September 19, with Atlanta writer Milam McGraw Propst. At 4 p.m. she will discuss and sign her book, “Writer, Writer,” — the story of her writing life and for anyone wanting to learn how a writer finds material. 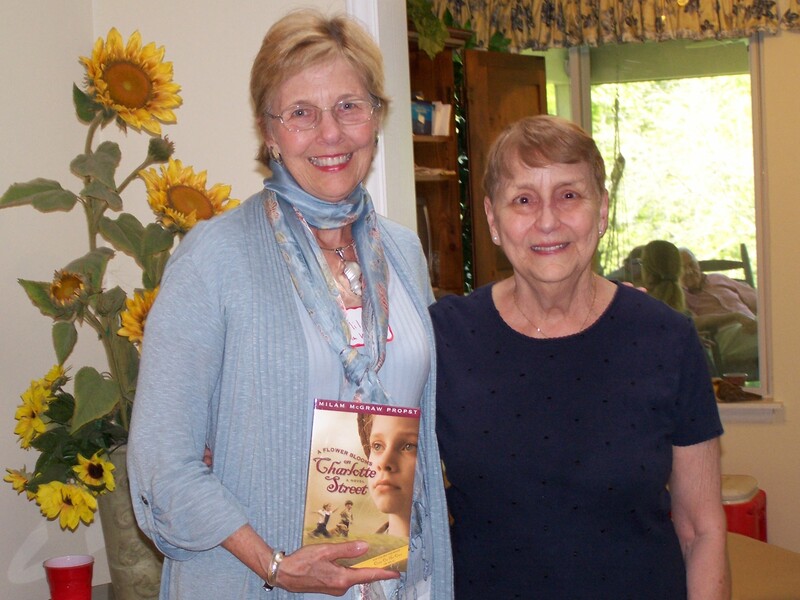 Atlanta author Milam McGraw Propst and former Friends of Murphy Library’s president, Nora King. Later at 6 p.m.,we have a great movie for children, parents and grandparents. Milam will introduce and the library will screen the family film “The Adventures of Ociee Nash,” based on Propst’s award-winning first novel “A Flower Blooms on Charlotte Street.” We will have free popcorn and candy for our filmgoers and a reception will follow the screening. The movie begins in1898 when young Ociee’s widowed father sends her by train from their Mississippi farm to live with her Aunt Mamie, in Asheville, North Carolina, so that she might learn the ways of a lady. It is not easy for Ociee to leave her beloved farm, but the world offers new adventures including meeting famous people, such as Orville and Wilbur Wright, and even a U.S president.